← “As God” or “Like God”? “Haha. I can only laugh at this posting. The thought came to me: Who better to tell ME (a proactive and faithful member of the LDS Church) what teachings are ignored or taught in the Church, than Sharon? It’s hilarious. “The Lorenzo Snow couplet is one of the LEAST ignored teachings in the Church. I hear it, at least, twice a month…. Which is a lot, considering. He was going from a small capacity to a great one; etc. This seems pretty clear to me; and it’s pretty important as well. Those who believe the Bible can in no way consider the doctrine of God “theologically tangential.” Knowing God as He is–and worshiping Him alone–is theologically essential. 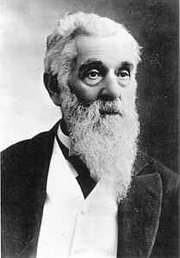 This entry was posted in God the Father, King Follett Discourse, Lorenzo Snow. Bookmark the permalink. In the months that I have been posting on Mormon Coffee, I have purposely stayed with the Bible when making doctrinal points. I have steadfastly stayed away from making contributions that would focus on spiritual phenomenon, manifestations, revelations and the miraculous to make my points regarding the Gospel of Jesus Christ. Focusing on the Bible gives everyone a frame of reference for discussion. Also, it lends some respect to those holding to a dispensational theology perspective. Spiritual revelation and experiences, unless someone was actually there, can’t be validated. Also, these things can be faked, misread and counterfitted. I bring this up because I get the feeling that some of our Mormon friends see themselves as having some sort of spiritual revelatory superiority. In the Mormon world, truth is based on revelation. So what do we Christians do? Relate an experience where Mr. X spoke in tongues and Mrs. Y interpreted and testified to ABC which proves the point being made in the Bible supporting the traditional orthodox Christian position? This has been festering inside me for awhile. What are the ground rules here? Subg from May 12 – thank you for your response and questions. You said you “thought it futile to argue points of doctrine outside of the Scriptures”. I don’t understand this, since there was discussion on one article about core Mormon doctrine (the “fullness”) NOT being in the BoM (thus outside of scriptures). Nonetheless, you ask about one “what” (one being of “God”), and this is what Scripture declares over and over again (One God is also taught in the Book of Mormon). There is One God. This One God has revealed Himself to us as three distinct Personages, each being fully God. The Son is God, the Spirit is God (each not “A” God, but “God”). Consider the analogy of “time”, there is the “past”, “present” and “future”. There are not three “times”, but one essence of “time”. Likewise, the Father and the Son and Holy Spirit are not three separate beings or entities, but three distinct Personages (not human persons) in the one nature of God. The doctrine is based on Biblical revelation, not human logic. I realize you don’t accept this and it is hard to understand based on the Mormon doctrine of God as a human being. I realize we see things differently on this issue. I’m not sure how much more clear the distinctions between Mormonism and Christianity can be made than through the recent posts. Mormons rely on their prophet to dictate doctrine first, and then by the “Holy Ghost” with personal revelation. They think they have a monopoly on revelation, when in fact they do not. It has been said here, but God in fact speaks to us daily as well. But rather than blindly following, we test what is given on more than just warm fuzzies. Yes, “warm fuzzies” may be a bit perjorative, but that’s all it is. And as subgenious admitted, it cannot be proven or disproven, a perfect opportunity to decieve. Also, we see a reluctance to criticize or disagree with leaders from LDS. To subgenious’ credit, he actually stated he disagreed on a point. I have never before seen such a thing. (I found this link and found it telling. Its about Mormon leaders encouraging a strategy to not criticize their leaders. http://www.i4m.com/think/intro/mormon_leaders.htm. The Christians I know are always quick to point out and call out our leaders when they go wrong. Thirdly, we see a focus on obeying rather than on living. Amanda is, from what I can tell, representative of Mormon thought when she says the only way to wisdom is to obey, and to obey is to follow the ordinances. Christians also must obey, but this is decidedly not ritualistic and rather a maturation process of studying, praying, and living, and not keeping count of what we have done and what we have not. Finally, we see the difference of who is God and who is Jesus. The point of the post, and most discussion highlights this. Really, we are worlds apart. And we both cannot be true. Personally, I know which choice is best, and pray our Mormon friends discover the same thing before it is too late. You have categorized my completely objective and real experiences with the Holy Ghost as subjective- that, my friend, is a subjective point of view since you are not privy to my personal experiences, only your opinion of them. I can only testify to what I know to be true. I don’t see how anything you say negates that reality in my life. -So YOU’RE a prophet now? I thought prophesy was a phenomenon only available to “prophets”. Revelation might be a better word- and yes, I too believe in personal revelation and other gifts of the spirit. -Directly to God? The bible tells us? Does the bible speak or is it made up of books written by PROPHETS WHO SPEAK??? If you don’t need a “mouthpiece” then perhaps you should set Isaiah, Abraham, well, almost the entire bible aside! -You wouldn’t be the first “believer” in history to reject the authority of a prophet. Besides, your are ascribing responsibilities and duties to the prophet that I never have…I never said he was a mediator. The role of a prophet is not to save, it’s a role of service to guide His sheep to HIS way- not our selfish ways and convenient interpretations. God has always used prophets. I don’t find it easy to follow a prophet all the time. But I know He has called one. Submission is a virtue we are required to have however unintelligent and mindless it is often perceived by men to be. Amanda, actually, we can say what we say in regards to your experiences because we base our faith in something that is objective: the Bible. Sure, you can argue that everyone can take what they want out of it. But that’s really a cop out. You also do argue that criticism of your faith is subjective. OK, is it OK to criticize those who practice wikka? Or what about Jihad? Something less agressive perhaps? How about Buddhism– are they correct? What about atheists? Isn’t criticism of them subjective, too? This is the problem with your argument, because at some point, you have to draw a line and say that some things are worthy of criticism. Otherwise, you have a very, very relativistic philosophy. And you do believe in an ultimate truth, don’t you? Then surely, you agree with my reasoning. Prophets, our take is that God has given us all we need to stay in line. No further shepherding is necessary given the information/faith God provided when he came to earth to become man. And through this action, he gave us direct access to him. Perhaps the place where we diverge at is that you worship two (arguably three) gods, and to us, those three are one. If our version is true, and Christ is Father God, then this makes more sense, no? But if yours is true, I can see how it would be more confusing, since, well, Father God did not actually come and so did not completely give us access to him. But I digress. My bet is you will not understand these arguments. And that’s your choice. You are certainly showing your ignorance of spiritual gifts. You say “…I thought prophesy was a phenomonon available to prophets.” Paul writes to the Corinthians: “Now concerning spiritual gifts, brethren, I do not want you to be unaware.” He then goes on to give a detailed description and instructions regarding the Gifts of the Holy Spirit. He says “Pursue love, yet desire earnestly spiritual gifts, but especially that you may prophesy…..One who prophesies speaks to men for edification and exhortation and consolation.” You,also, need to go back and read the Book of Acts carefully. Also take a look at the Book of Ephisians where the five fold ministry of the Holy Spirit is listed. Please don’t bother with your silly little word games as in your comments regarding “the Bible tells us.” I would suggest if your going to comment here at least do the readers the courtesy of engaging in some thoughtful study and reflection before you post. Amanda, you called your experience with the Holy Ghost “completely objective”, then said that my view of it is subjective, “since you are not privy to my personal experiences”. Do you see how you have contradicted yourself? If your experience is “completely objective” as you say, then everyone could accept it. But it is not, it is subjective. That was my point – personal experiences are not objective, they are subjective – even yours. This was my caution. We both have real experiences we each believe to be from the Holy Ghost, and those experiences are totally opposite. They both can’t be right. The personal, subjective sense of what a person thinks God or the Holy Ghost is telling them does not trump the objective Scripture. 20 … Hear me, O Judah, and ye inhabitants of Jerusalem; Believe in the Lord your God, so shall ye be established; believe his prophets, so shall ye prosper. You have created an interesting dilemma with your argument. Because of my belief in a modern day prophet, I can submit my “subjective” point of view of the bible to the “objective” revealed point of view of God, given to prophets. You, however, it seems you are relying on your subjective interpretation of the bible. If you are sincere, research the role of a prophet on this website- and I believe you’ll find the answers to your questions. In terms of revelation, a very important revelation has been the proclamation on the family. This proclamation lays a concrete foundation about the family as an eternal unit-something no church has asserted. There are many more examples and answers to your questions- So if you want more, research what the prophets have said since 1980 (year I was born). You are condemning the prophet simply because you have your OWN idea about how Christ should organize His church. I won’t apologize for how He has directed His prophets. Well, if you have the spiritual gift of prophesy, at least have the intellectual honesty to call yourself a prophesier- which is tantamount to “prophet”. I think this logic is well documented in the DICTIONARY. And yes, I am completely ignorant to the doctrinal interpretations of your personal religion. Earth to Falcon, but a lot of people would be ignorant to what you think the bible, and Paul himself, teaches. Excuse me for not being aware of your interesting conclusions regarding the gift of prophesy. I’m not sure what this proves in Mormonism, that we need a prophet today? What secrets have been revealed to today’s prophet before the Lord God did something? When we read the entire book of Amos, it repeats “For three transgressions .. and and for four,” How many times did God warn them before God let down His punishment? This is what the book is about, the Lord God will do nothing to punish the people, without warning them through His prophets. This talks about the household of God, built upon the foundation of the apostles and prophets. How many times does one lay a foundation for a house? What about Jeremiah 14:14 And the LORD said to me: The prophets are prophesying lies in my name; I did not send them, nor did I command them or speak to them. They are prophesying to you a lying vision, worthless divination, and the deceit of their own minds. So there are false prophets that we need to be aware of, also false Christ’s and false spirits. There are tests for prophets. I urge you to apply the biblical test to yours. Mormons do read the Bible through the lens of Mormonism. I urge you to pray to the One True God before reading the Bible that your eyes may be open to His truths. You said something that I thought very peculiar, “The prophet holds the keys to the priesthood to administer necessary ordinances, such as baptism, temple ordinances and authority to guide the church in EVERY manner.” The last portion is the part I want to touch on, that is the authority to guide the church in every manner. With this authority could a LDS Prophet guide the church in a manner that is less than Godly, could they make remarks that may have lead some astray in the past, only to now be corrected, hence the evolving doctrines of Mormonism? the church, in all ages, by His Spirit and word, in divers ways of administration, the whole will of God, in all things concerning their edification and salvation.” I will follow Christ, the True Prophet, will you? My comments have nothing to do with my personal religion which I take it you mean some denomination. I consider myself a Biblical Christian without the need of a specific label. Everything I gave you regarding prophesy and prophets is in the Bible, specifically the NT. Christians don’t need a “go to guy” sitting in some tall office building in Salt Lake City like the LDS do. God has equipped/gifted each member of the body to function as a unit..”we are to grow up in all aspects into Him, who is the head, even Christ, from whom the whole body, being fitted and held together by that which every joint supplies, according to the proper working of each individual part causes the growth of the body for the building up of itself in love.” If you learn the full counsel of God’s Word, this is all very clear. It has nothing to do with denominational religion but everything to do with what it says in God’s Word. God’s saving grace and spiritual gifts are available to all who will humble themselves and by faith receive Him. The assurance of salvation is God’s first and greatest gift offered through His Son Jesus Christ. You can know today, with confidence, your eternal destiny. Interesting that my comments were trimmed, for the record, they were hardly offensive, certainly not more than Falcon’s. I was pointing out the need and certainly the biblical prescription (NEW TESTAMENT) and acknowledgment of Prophets. Meaning, yes, we need them, and it is apparently, according to those scriptures, part of God’s plan to reveal “his secrets”. These scriptures didn’t prove to me personally that we have a prophet…I’ve had a testimony of that since I was a little girl. That testimony came through the Holy Ghost. This scripture was simply an attempt to cater to your “only bible scriptures” limited perspective. This is simple…When Christ came, He was the mouthpiece physically on earth…to organize His own church..he called apostles, did he not? Those apostles carried keys until they passed away, hence the apostasy- That scripture does not refute the reality of prophets today. The savior isn’t on the earth, so when He speaks, he speaks through His prophets. This has always been His model. May I suggest then, that we be aware of Falcon…he has claimed to be a prophesier- I’m not sure he’s right about that. Might I suggest reading the entirety of this article? His idea of False prophets might surprise you. It isn’t always someone with “prophet” in the title…so falcon, you might be safe! Your attempt at convincing me that President Monson is a false prophet is completely overshadowed by what the Holy Ghost has impressed on the minds of millions, including myself. 13 million people have no problem accepting Christ’s prophet and apostles. They serve, they love and guide us in the way the Savior would. That is the fruit- I feel closer to the Savior when I listen to their guidance- that is how I know. I deeply regret that you openly rebel against His prophets! How much you miss! I pray that we can all humble ourselves a little more, and think less of what we know, and more of what He would have us know. Is it just me or is communicating with Mormons on certain isseus exceedingly difficult? It never is a give and take, it is “you are wrong and we are right”. Amanda says the savior is not on earth and we need apostles/prophets to speak with him now. How many times have we said that God speaks directly to us? We see here that God, along with grace, he made known to us the mystery of his will, and all wisdom and understanding. Notice this is through Christ’s blood that this was given. It has already happened! It is a past event, and not one that continues on. Notice also the word “all”. Not some, or part, but all. In other words, Christ gave us all we need to know. In my saying it is difficult to talk to Mormons, I do not intend to be demeaning, but only to express frustration. A few have engaged in honest debate, but even then it comes to a point where despite all the evidence– spiritual or physical– we run into a brick wall. What is frustrating is that I am sure most evangelicals when presented with solid evidence pointing a differentn direction will reconsider their views. We then assume others will react the same. Evidently, this is not true. When I say “I hope you take it to heart” I mean I hope you give thought to and understand what is being said, because many times you don’t seem to hear what anyone says, but rather breeze over it without a thought, then come back with sarcasm while running in every different direciton with your posts. You list many verses which I explained in context. This includes your Amos quote taken out of context, and I asked you to read the whole book. How sad Mormonism teaches a man is needed to direct the way, but what is even sadder, Amanda, is that Mormons believe this and refuse the truth. Your quotes from “Elder Ballards Talk” describe everything the false religion of Mormonism embodies. You said “The savior isn’t on the earth”, and I can only hope you are kidding. Jesus said where 2 or 3 are gathered… that He is with us…His church will never pass away…but it seems trying to reason with you is a futile exercise because anything and everything must be disregarded in favor of what the “authorities” say. You again fall back on your testimony. We’ve already had this discussion and you disregarded the caution. I am sorry the only “fruit” you consider is how good you feel. The fruits are the false teachings, polygamy, etc. You regret I rebel against modern day Mormon false prophets. I regret you openly rebel against the true Jesus Christ and have exchanged Him for a lie. The more I read of your posts on this board the more I realize how deceitful and controlling the Mormon church is. May God have mercy on you and set you free. I would echo what has been said by a couple of our contributors that you don’t seems to have a desire to process the information that is presented to you here. Before His ascension Jesus told His disciples that they would receive power when the Holy Spirit came upon them. This was seen in dramatic fashion on the day of Pentecost. The Holy Spirit is God’s gift to the Church in that the Spirit indwells those who come to Jesus in faith. (Just a side-bar, the Jesus of the Bible) The indwelling Spirit provides gifts that can be manifested within the believer for the building up of the Body of Christ. One of these gifts is the gift of prophesy. Now if you are going to be so stiff necked and hard headed to ignore what is in black and white in the Bible, then I have little hope for you. You are depending on a testimony that cannot provide you with the salvation of your soul. In First John the Apostle says “These things I have written to you who believe in the name of the Son of God, in order that you may know that you have eternal life.” You may have that assurance today, that the restored Mormon gospel cannot bring you. I urge you to turn to Christ in faith and receive the gift of salvation that God offers you through Jesus Christ. I am limited in responding to the entirety of EVERY response I get. Please try and understand that it is no easy task for me to respond to everything everyone directs my way- yet you expect unrealistic things from me, and in such a hateful manner. Perhaps this is why I am sarcastic, short and uninterested in my responses, at times. Forgive me. But I have made an effort in all of my posts to respond to principles I wanted to talk about or respond to- I have to employ some method in narrowing the topics I discuss/answer. In terms of me not understanding, I would beg you to be fair and acknowledge that we have DISAGREEMENTS about scripture- (a common phenomenon even in your Christian circles)- and on top of that, I haven’t read EVERY single scripture in the bible- or every single word spoken by latter day prophets…so I have limited knowledge…don’t we all? I wish that perspective was shown more by all of us. It is not my fault that you don’t understand me. It is not my responsibility to make sure you agree with my positions and understandings. I would appreciate if you would see me with more of a Christian lens rather than a critic’s lense. I promise you, if you got to know me more, you would find even more weaknesses. But if you take your focus off my weaknesses and focus on the strength of my testimony in the restored gospel, I think then you might gain something from my perspective…whether your agree or not. But let’s be realistic, you aren’t really interested in “processing information” either, Falcon, since you wholeheartedly and pridefully reject any reading material I offer you. You seem to think you have all the answers–so why should it matter what I say or think? Many of us are not here because we want to be enlightened…many of us are here because we think we can enlighten others- perhaps we should all repent. I refuse to apologize for not rejecting what I know to be true. The gospel is restored. I empathize greatly with the sentiments you just expressed, interestingly enough. The scripture in Ephesians seems to mean to you that Christ’s coming to this earth, teaching and atoning has fulfilled the need for prophets seers and revelators? I hope I understand you. Is it not also true that those in the old testament received of God’s “grace”…yet there were still prophets. Exodus 33:12-13, 16-17. In terms of the Law of Moses, it is important to suggest that this law was given for symbolic teaching of the relationship between justice and mercy. Sacrificing a lamb did not really satisfy the demands of justice on a sinful people, did it? Christs’ grace does not apply simply AFTER the event on the cross, it is ETERNAL–without beginning or end. Understanding this, you may realize the context of prophets. They are used to organize His church on the earth- and Christ is ALWAYS at the cornerstone. When Christ walked, before his atoning sacrifice, he too organized His church and called apostles. Christ IS AT the head…He is the cornerstone. It is incredibly bold to suggest that Christ speaks to His prophets today, yet the position latter day saints have taken in regards to God’s plan for us- and how he reveals it, is completely biblical in light of interpretation- which we have every right to do, interpret (we just do it with His prophets, so that might give us a bit of an edge- not meaning to sound like this is any virtue of mine- just stating the truth as I see it). This is an interesting double standard that reveals true intellectual dishonesty; we are only entitled to your interpretation when explaining OUR faith? Lest we forget the many different interpretations that exist amongst MANY denominations. 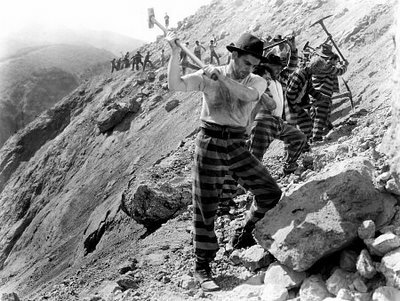 You’ll just have to be patient with us “mormons”, I guess- we are a peculiar people. We certainly need to do better on many things. Acts 19:5-6 “And when they heard this, they were baptized in the name of the Lord Jesus. And when Paul had laid his hands upon them, the Holy Spirit came on them, and they began speaking with tongues and prophesying.” These were new believers baptized in water and the Holy Spirit and blessed with the spiritual gift of prophesy in the NT Church. Acts 21:8-9 “And on the next day we departed and came to Caesarea; and entering the house of Philip the evangelist, who was one of the seven, we stayed with him. Now this man had four virgin daughters who were prophetesses.” Yes, women blessed with the gift of prophesy. Believers in the Jesus of the Bible, don’t have to be high ranking individuals in some speciific religious group to be blessed with the gift of prophesy. These gifts of the Spirit are given to men and women alike, regardless of their social/religious standing or rank. They are given for the common good of the Body to build the individuals up to the fullness of Christ. To be alive in the Spirit rather than to be caught in the trap of performing endless rituals in the hope of attaining righteousness, is God’s gift to all who come to Him in faith with a humble heart. The assurance of salvation through Christ is available to all. You can have that assurance also through faith in the Jesus that the scriptures speak of and who I testify to you of, is indeed the Christ. Yes, those in the OT could be under God’s grace, but they had to accept God as the only God and had to sacrifice something in order to get it, often in the form of a lamb. When Christ was killed, he acted as a sacrifice. His being caled the lamb is no small coincidence. His sacrifice ended all other need to sacrifice. So such discussion is not quite relevent to your point, I don’t think. And your response also did not address the idea of continuing revelation. Again, if as Ephesians tells us, all wisdom and grace is already given, we cannot get any more! Everything is out there for us to receive, which we do when we accept Christ. This is not to say we do not grow in understanding, but it is to say nothing else can be revealed. You believe more is to be revealed, no? The discussion on polygamy come to mind? What of blacks? Revelation is ongoing in your mind, as these topics show. The cornerstone? Are you now saying everything lives or dies on Christ now? That the cornerstone is Christ, and there are no others? This would be a fair interpretation of what you have written here, even though it goes against a discussion seen here before on you having multiple cornerstones. Which is it? I also love this line: “…completely Biblical in light of interpretation…” Well, I guess anything can be Biblical in line of interpretation, and this goes to my thought that you are post-modern. This is why you are hard to pin down, because this “light of interpretation” can be whatever you want it to be in any given situation. Hate to say it, but you do indeed have the right to do as you wish. A final example of the problems within your way of thinking in this post: you are not the only Mormon church, either, as we have discussed. This kind of negates your criticism of us on these lines. To sum it up, you can think what you want, but when it comes down to it, your faith makes no sense. I was pointing out that his (priesthood) organization was the same in the old testament, the new testament…and today. So it would be more acceptable logically for you to simply say that He hasn’t organized his church yet, and these Mormon prophets are still fakes. But to suggest that He does speak, just to the individual, leaves many questions to those who seek what His doctrine truly is. Hence the dilemma Joseph Smith faced in his time. When the individual is solely responsible for finding God’s will for His church, you get many different denominations due to many different interpretations by reading the same bible…forget the outcome by reading different versions of the bible. Christ in this passage, sends His apostles, not just witnesses or believers- APOSTLES to baptize. That signifies authority. 20 Teaching them to observe all things whatsoever I have commanded you: and, lo, I am with you always, even unto the end of the world, Amen. That last scripture I referenced Christ is speaking to His apostles when he tells them to teach the rest of us to observe His commandments. I think there is a relationship between prophets and the Lord teaching us how to submit to His will through obedience. How obedient would we really have to be when we are defining His gospel on our own personal terms? Not very. Seeing all of the different changes in Christian churches that are simply blowing with the winds of change, we realize that this standard being prescribed by mainstream Christianity, is easily influenced by the devil. Homosexuality, as an act, is being widely accepted by the ordination of gay priests…is this not a drastic change from what many of us believe is taught in the bible? Yet they use the bible to justify it. There are many more examples. Furthermore, it has never been easy to accept a living prophet- because it requires humility and submission. Did not the Jews see Moses as no one of consequence? Because they are just men, it requires great faith to accept that their words are from the Lord. They fall short in many ways- but the message is still of divine origin. Many have suggested on this site, including myself, to see the fruits of these prophets, and that is how you will know. Name one bad fruit of the ministry of Gordon B. Hinckley! It is hard to be a good man, yet lie about being a prophet…is it not? But I fear many of you will never make a serious inquiry- I can’t do much about that. All I can do is testify of the restored gospel. It is restored, it is wonderful, it is true- and we want everyone to enjoy its’ fulness! Just want to draw to your attention from the verses you quoted – Ephesians 1: 7In him we have redemption through his blood, the forgiveness of sins, in accordance with the riches of God’s grace 8that he lavished on us with all wisdom and understanding. 9And he[d] made known to us the mystery of his will according to his good pleasure, which he purposed in Christ, 10to be put into effect when the times will have reached their fulfillment—to bring all things in heaven and on earth together under one head, even Christ. Then you said “In other words, Christ gave us all we need to know. In reference to James 1:5 If any of you lack wisdom, let him ask of God, that giveth to all men liberally, and upbraideth not; and it shall be given him. the Evangelicals on this site point out that it clearly states ‘wisdom’ not knowledge. So you are incorrect in your interpretation of the above verses as no where does it state ‘knowledge’ – it says wisdom and understanding. Yes it says that He has made known the mystery of His will, but it does not state that we have been given all knowledge. So unless you want to concede our interpretation of James 1:5, then you cannot interpret Ephesians the way you want to. Let’s see, you want to judge a prophet by his fruits. Would you be willing to do that with Joseph Smith? I don’t think so. Mormons have to ignore and/or justify a whole host of behavior problems with their founder. For example, Joseph Smith left a legacy of perverted sexual misconduct that lives on today in groups that are most closely aligned with his teachings and practices. He was a well known prevaricator, manipulator and deceiver. He used a magic seer stone to hunt for buried treasure and used it by putting it in the bottom of a hat which he shoved his face into to “translate” the BoM. The Book of Abraham has been proven to be a complete fabrication. He said an angel with a sword threatened him if he didn’t take on more wives. I’m running out of space here. I know, it doesn’t make any difference. OT prophets sinned. You have a testimony that proves the restored gospel is all true. Evidence doesn’t matter. It comes from men. I would pray that some how a miracle would take place and that you could break free from the veil of deceit that shrouds you. You get many denominations of Mormonism, too, when you rely on the voice of a prophet. I know, you don’t think the others are true– only yours. That’s fine, but do you see the trouble with your argument from our eyes? I doubt you will, and its due to a lack of serious inquiry. Revelation. Let me ask you this– why do you need a prophet? What has he told you recently that is not in the scriptures? What has he told you that Jesus and the writers of the Bible have not already? Submission. Do you really want to talk about what it means to submit? I condemn the churches who allow gay priests. You cannot use that as an example to support your position. They are outside the mold of Christianity, as would any church who willingly allowed drunks, fornicators, adulturers, liars, cheats etc to lead. Why is lack of a uniform way to complete the act of baptism a problem? In order to discuss, we have to ask what it means to be baptized, which we would also see reference to baptism by spirit. Ergo, your stance is not so definitive. Where did I say we get all knowledge? I don’t believe I said that. And I would argue that through all wisdom and understanding, we are given all we need to know for our salvation. Thus, revelation in the sense you use it is not necessary. Why would we need to be revealed something which is already out there? I wasn’t able to address a comment you made a little while back, but here goes. I asked you what new revelation has come about since you were born that had an effect on your salvation? You mentioned the proclamation to the family. I encourage you to read the proclamation again and give me just two lines of “new” information thats needed for salvation. The whole thing is about being good member of a family unit and that marriages are ordained of God. In other words, be a good person because family is important.. What?! God wants us to be good people now?! thats news to me! Oh, thank you thank you for the prophet, I would have never had known that. Besides all the masonic rituals performed inside the temple and the command of polygamy, there hasn’t been one thing, at least that I can think of, that has been revealed by a prophet to have any effect on salvation.